Merry Christmas friends and family! 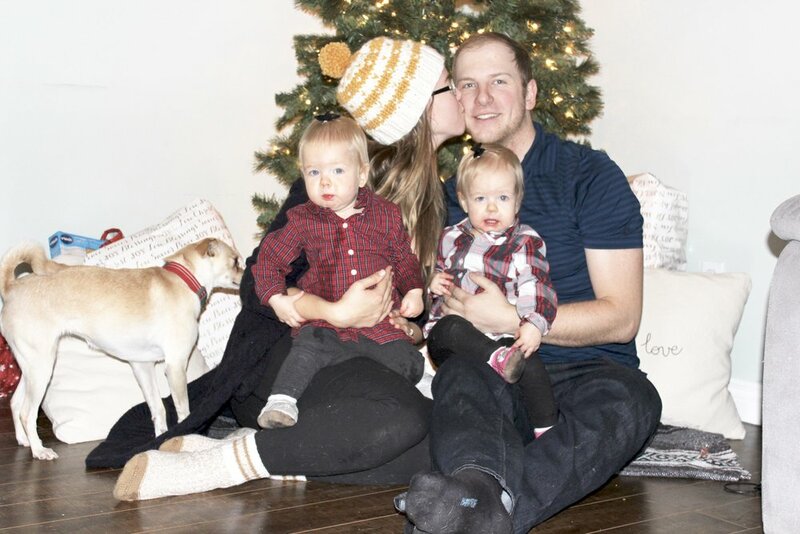 We have had such an incredible Christmas season with the girls, I don't want it to ever end! 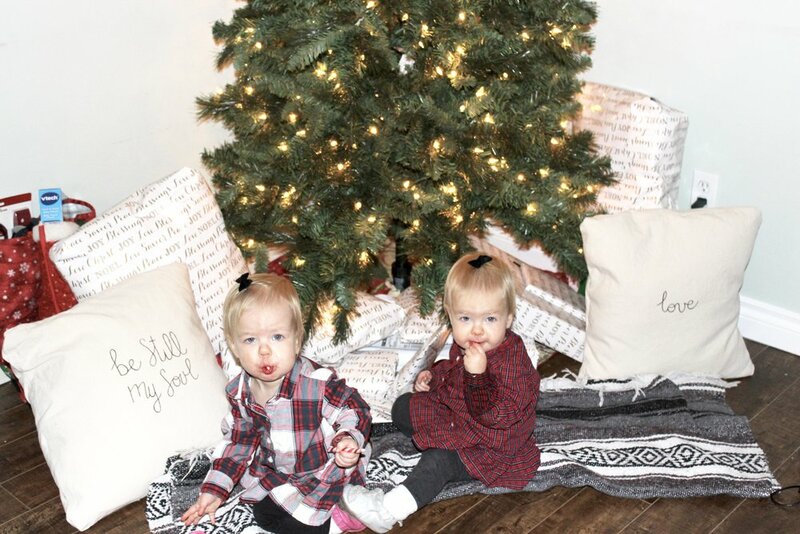 We bribed them with candy canes to get these photos and they were extremely okay with it. Last year was pretty stressful with the girls being 3 months old and the chaos that newborn twins brings, so this year has been a nice breath of fresh air. The girls LOVE visiting family and doing new things, so our Christmas dinners and time spent together has just been so sweet. The girls were in a Christmas wedding on Dec. 16th, and it was so special. My sister in law and her new husband had a gorgeous winter wedding and asked the girls to be flower girls, Kyle and his brother Christ to be MCs and me to play the piano as she walked down the isle. I can't wait to see photos of the day, I actually forgot my phone at home and it was so nice to be fully present. Today the girls helped me wrap my sister's Christmas presents - she hates wrapping gifts and I absolutely LOVE it! She picked out the worlds most sparkly wrapping paper, so now the house, the girls, and I are covered head to toe in gold glitter and it makes me the happiest. We're feeling very festive. We have yet to do any Christmas baking because I'm the worst cook/baker ever but I think it would be a fun activity to do with the girls so I might attempt that before the season comes to an end. Kyle is just about to be off work for a week and I can't wait to spend the whole week together as a family just being together. We hope your Christmas season has been filled with joy and laughter and sweet moments. If you're struggling this season, know that I am thinking of you and praying for you.